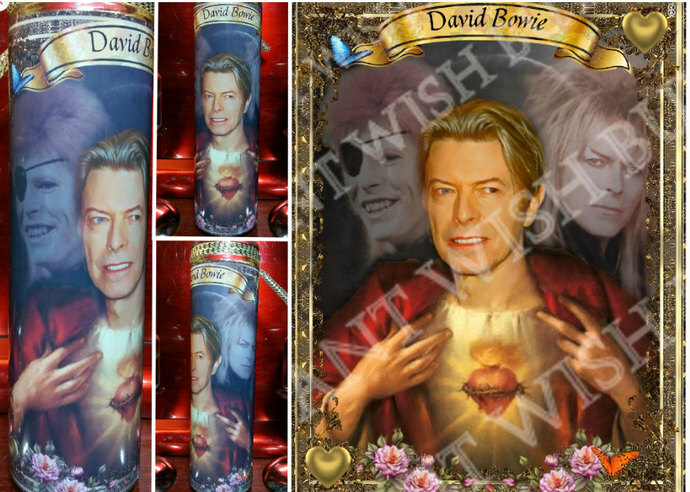 David Bowie Devotional Saint/Prayer candle - 8" high. 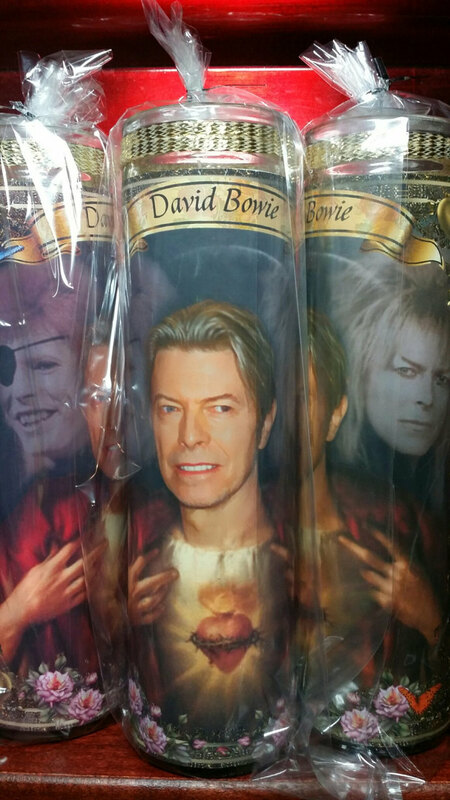 Special commemorative edition for the legendary David Bowie. 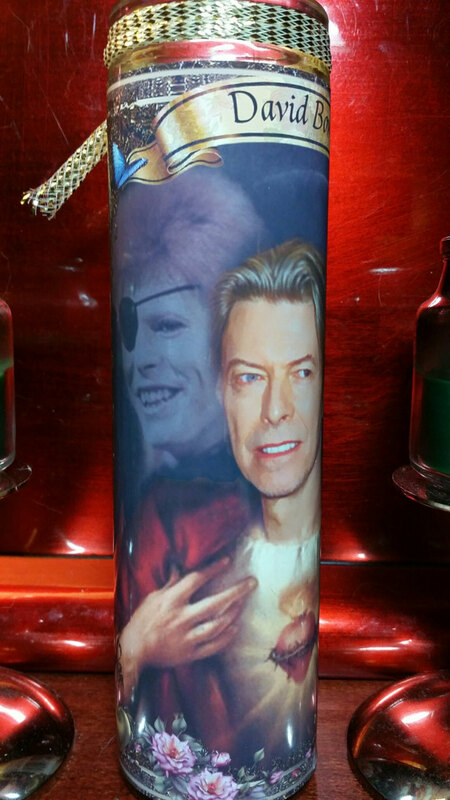 This candle features 3 images: Bowie in the Center with Ziggy Stardust and Jareth on either side of him - as his fans loved his characters as well as Bowie himself. Will never be forgotten and our legend is among the stars. 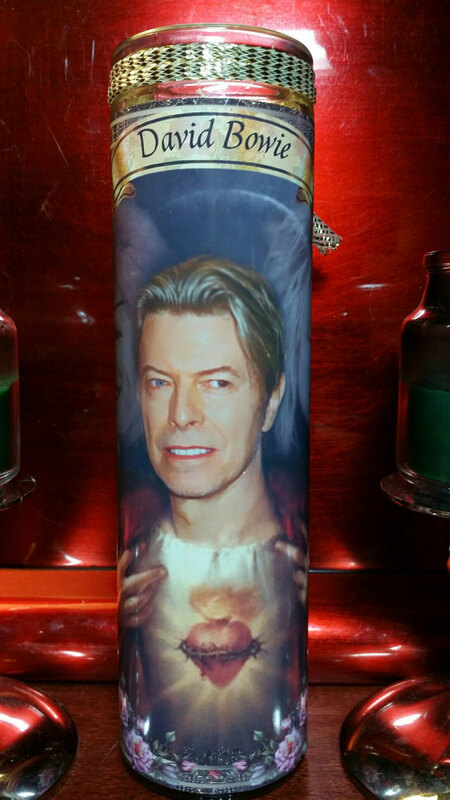 The label is 5x7 and the candle image is large due to a smaller frame. 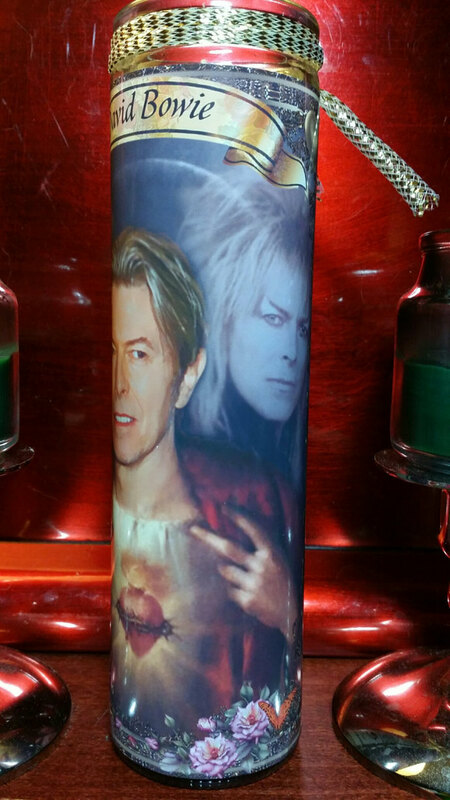 We love you Bowie! You will be missed!